IDBI Bank Recruitment 2019 - Apply Online for 300 Executive Posts in IDBI Bank, Across India on Contract Basis. Online Applications are invited by IDBI Bank from 04 Apr 2019 to 15 Apr 2019 for 300 vacancies. The payment can be made by using Debit Card (RuPay/ Visa/ MasterCard/ Maestro), Credit Cards, Internet Banking, IMPS, Cash Cards/ Mobile Wallets by providing information as asked on the screen. 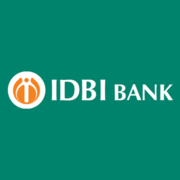 Eligible candidates may apply online at IDBI Bank's website (direct link is given below) from 04 Apr 2019 to 15 April 2019.